When I was very young my cousin Warren promised to bring me a tiger tail. Being young, I was convinced that this meant I was going to see an actual tiger tail, complete with tiger attached because I couldn’t imagine it being any other way. 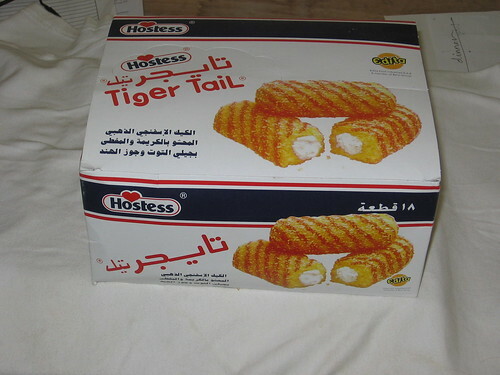 Does anyone else remember these Tiger Tails from Hostess? All I remember was being very sad that there wasn’t an actual tiger in my house.